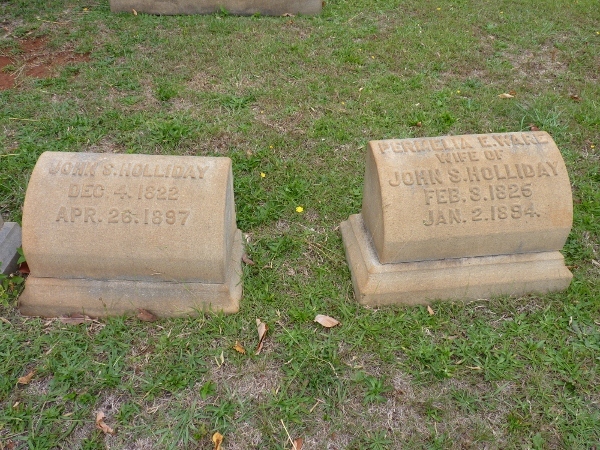 DOCTOR JOHN STILES HOLLIDAY was born 04 Dec 1822 in Laurens County, South Carolina, and died 27 Apr 1897 in Atlanta, Fulton County, GA. He was the third child of Robert Alexander Holliday and Rebecca Burroughs. 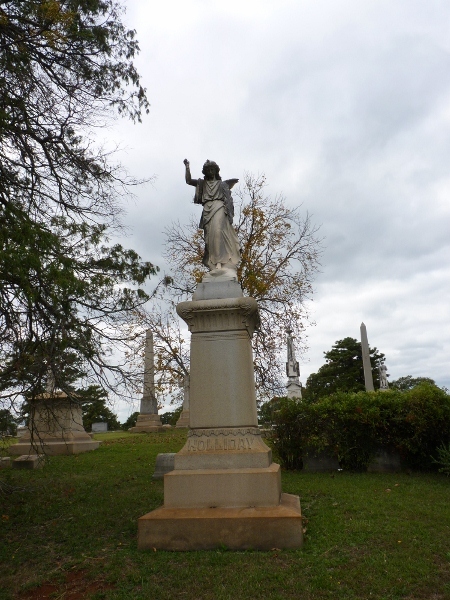 He married PERMELIA ELLEN WARE 27 Mar 1844 in Fayetteville, Fayette County, GA. She was born 03 Feb 1825 in Danielsville, GA, and died 02 Jan 1894 in Atlanta, Fulton County, GA. She was the daughter of Maj. George Washington (C.S.A.) and Mildred (Sorrells) Ware. Along with some Holliday photos, she has been kind enough to share with me, Maureen Keillor sent the following link to the Holliday-Dorsey-Fife House Museum in Fayetteville, GA. The house originally belonged to the family of Dr. John Stiles Holliday, and she along with friends assisted in restoring it, as well preventing it from being torn down. JOHN STILES HOLLIDAY, JR b. 12 Feb 1857, Fayetteville, Fayette County, Ga.; d. 07 Apr 1928, Atlanta, Fulton County, GA.